While celebrating the highest voter turnout in a midterm in 100 years, the new “America Goes to the Polls” report by Nonprofit VOTE and the U.S. Elections Project digs deeper into the story by examining the vast differences in voter turnout between states – turnout differences driven in large part by states’ various voting policies. “The November midterm election shattered records for voter turnout,” says Brian Miller, Executive Director at Nonprofit VOTE, “but beneath the record-setting turnout is a vast gap in turnout between states that speaks volumes about the impact state policies play in voter turnout.” The report, based on the final certified voter turnout of all 50 states, finds 118,532,829 ballots cast, 35 million more than the 83.2 million ballots cast in 2014. The report also ranks all 50 states by turnout, with the top ten states averaging 61% turnout of eligible voters. By comparison, the bottom ten states averaged only 43% – a gap of almost 20%. Another policy the report highlights is Vote at Home, also referred to as Vote by Mail. States with this policy send every registered voter a ballot in advance of the election. Once completed, the ballots can be mailed in or dropped off at a secure nearby location. Three of the top 10 states – Colorado, Oregon, and Washington – had Vote At Home (VAH). Utah, which in 2018 adopted both Vote at Home and Same Day Registration, saw the highest increase in turnout over the last midterm of any state in the nation. The report cites a study that shows Vote at Home states had a 15.5 percentage-point advantage over non-VAH states in 2018 state primaries. The report points out that a crucial, though new, piece of the puzzle is Automatic Voter Registration (AVR). AVR states automatically register voters or update their registration when they interact with their state’s motor vehicle department or other agencies, unless they specifically opt out. Miller adds, “Unlike Same Day Registration or Vote at Home where the benefits are almost immediate after implementation, it will be several years before we can assess the full impact of AVR, because only a portion of residents renew their driver’s license in any given year.” Early indications, however, are promising. The report notes that registration growth was nearly four times higher in the five states reporting AVR results compared to states that don’t have either AVR or SDR policies. 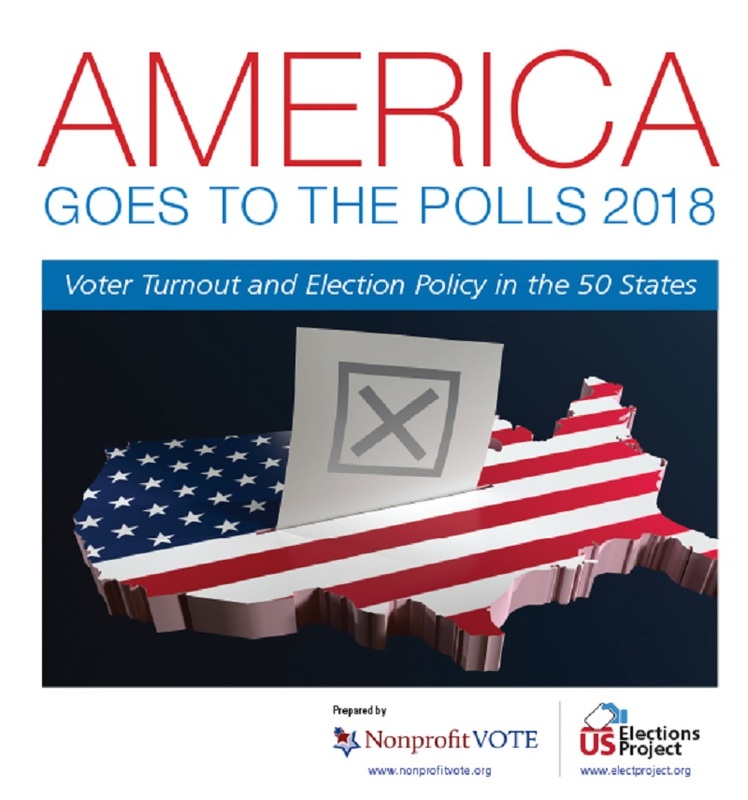 Be the first to comment on "New Nonprofit Vote/USEP Report: “America Goes to the Polls 2018”"